Red Bluff Sand and Gravel, LLC has a mining operation at 1740 South Memorial Drive in Prattville, Alabama (in South/Central Alabama in Autauga County just north of Montgomery, Alabama). 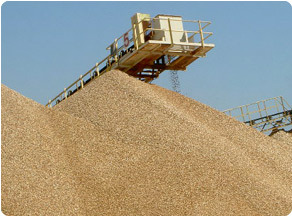 Red Bluff Sand and Gravel, LLC provides sand and gravel and river rock to general aggregates customers including concrete and masonry applications as well as for chemical purposes. Red Bluff Sand and Gravel, LLC's customers include road builders, asphalt, landscaping, construction and concrete companies.